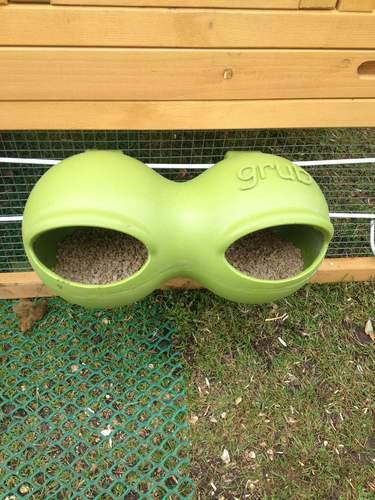 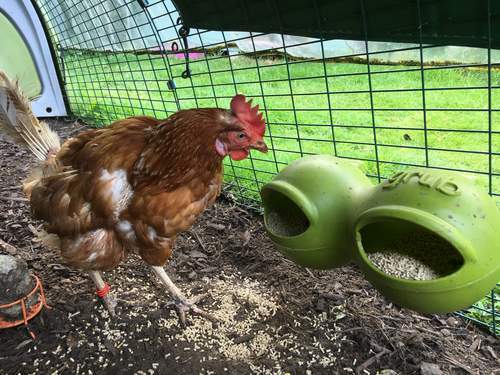 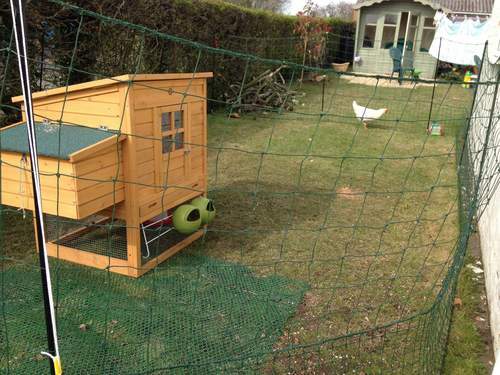 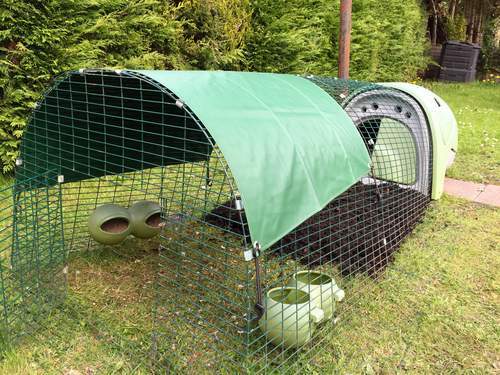 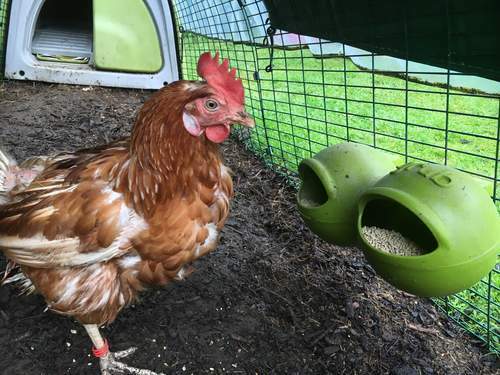 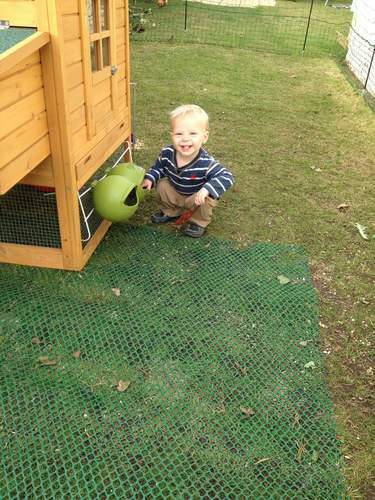 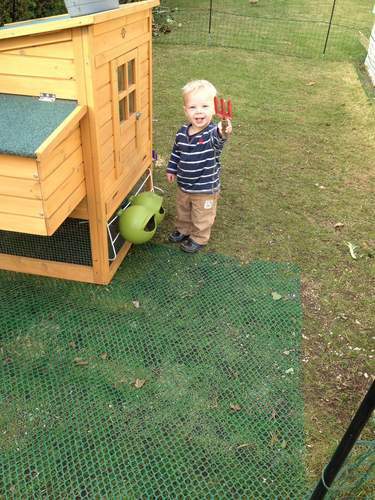 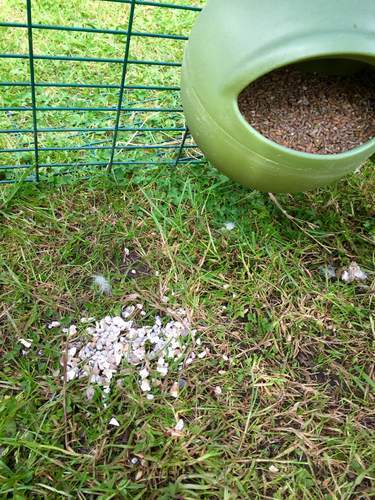 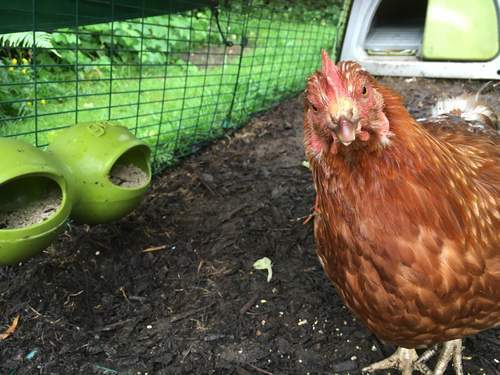 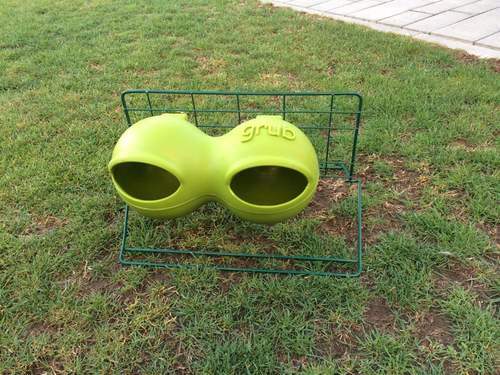 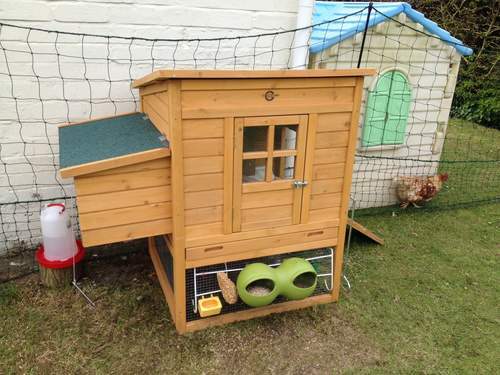 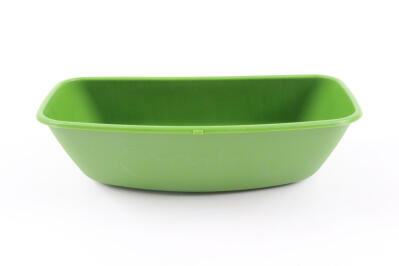 The purpose designed eglu feeder or Grub to its friends is the best way to provide food for your chickens. 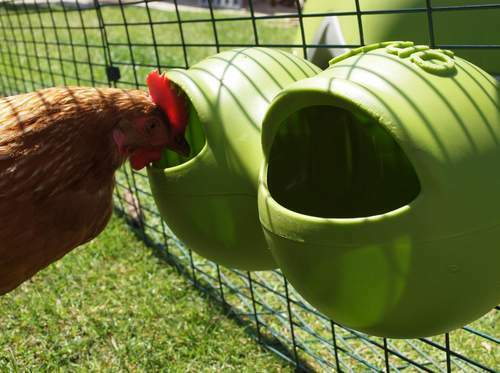 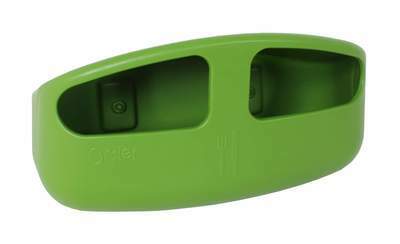 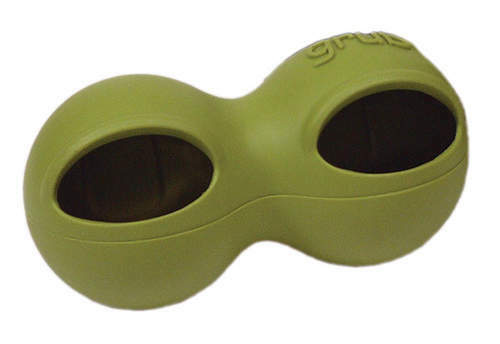 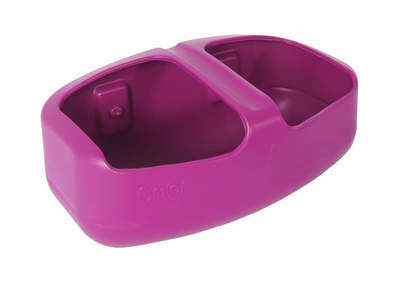 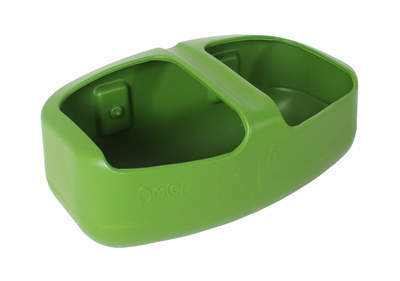 It attaches to the run (both mark 1 and current eglu), keeps food dry and can be cleaned in a dishwasher. 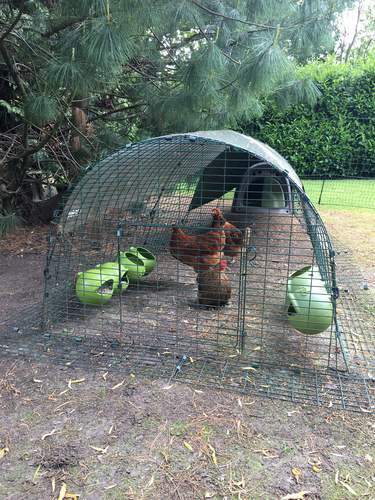 Will keep four chickens fed for two days. 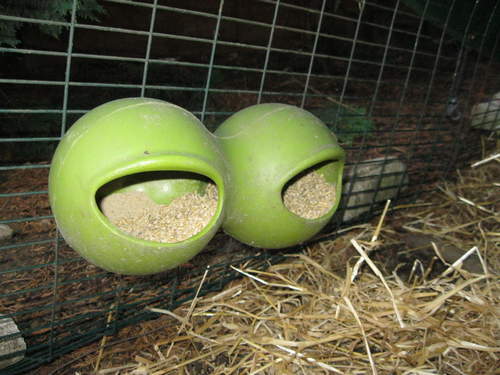 I've had this feeder for at least 2 years and it is great. 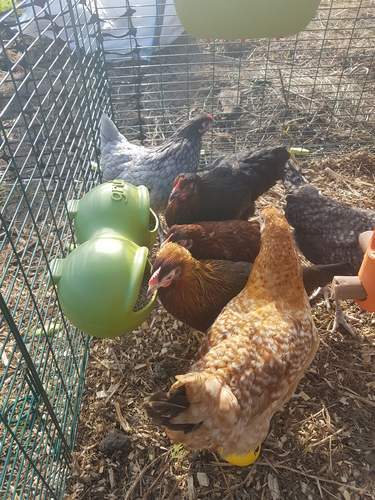 Never gets wet, and the chickens take to it immediately. 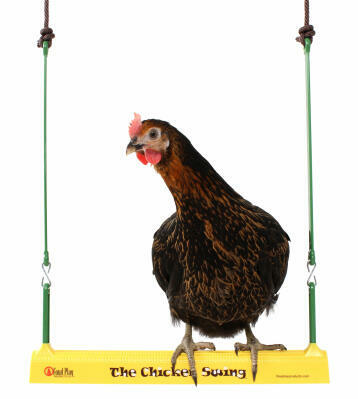 I am ordering another as my flock has increased.